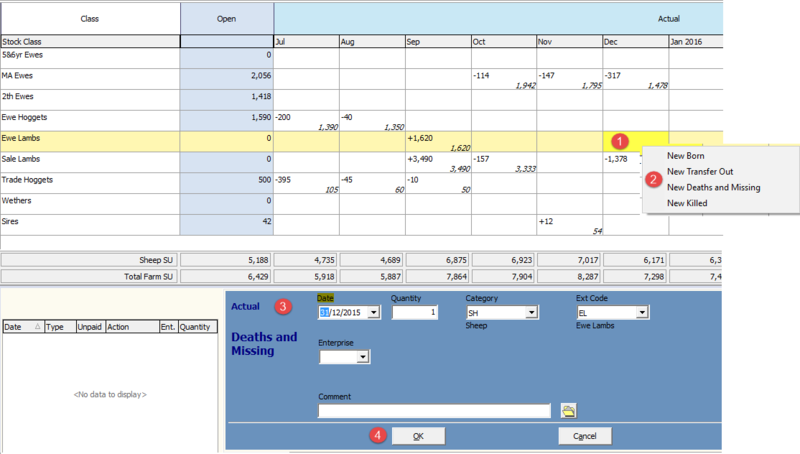 How do I create livestock births, deaths & missing? 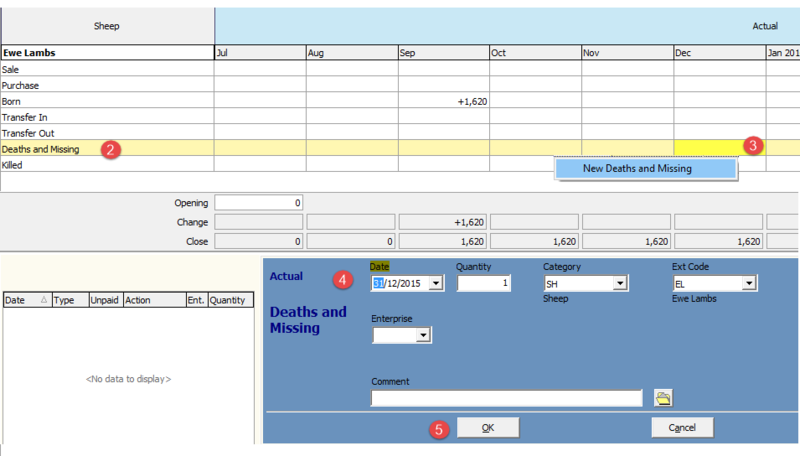 There are three ways that you can create a birth or deaths & missing event in the Livestock screen. Before you start, single left click your mouse on the stock class that needs to be corrected, to highlight it. Right click on the month you want to create an event in. Select the event you want to record. Enter the details of the event i.e. quantities and any notes. Highlight the month you want to create an event in. Click on the New Other button at the top of the screen. Double left click on the stock class you want to move into. Select the event you want to record from the far left column. Highlight the month you want to create the event in and select the event.